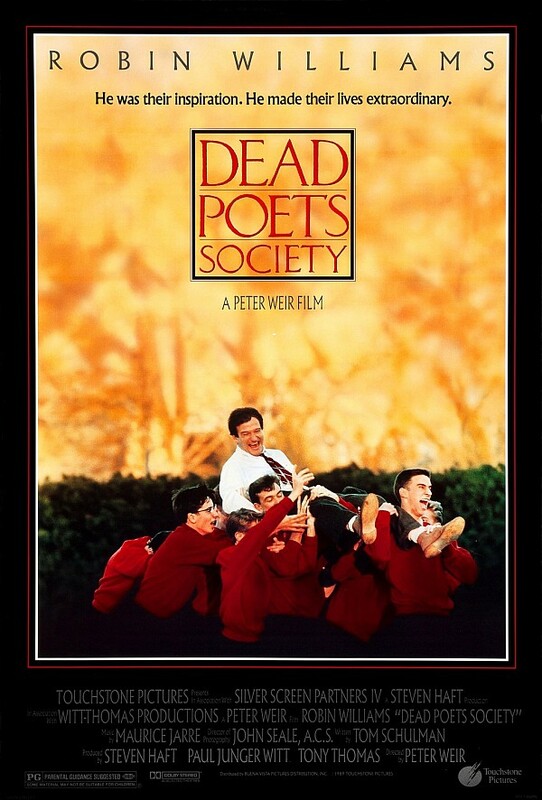 Dead Poets Society is a 1989 American drama film directed by Peter Weir. Set at the conservative and aristocratic Welton Academy in the Northeastern United States in 1959, the film tells the story of an English teacher who inspires his students through his teaching of poetry. The font used for the film title in the poster is Classic Roman, an all-capitals headline typeface based on Roman inscriptions. The tagline “He was their inspiration. He made their lives extraordinary.” above the title is set in Albertus. In addition to Dead Poets Society, Classic Roman typeface is also used in the following logos, movie posters or album covers etc., including: In the Heart of the Sea, Restoring Force (Of Mice & Men).